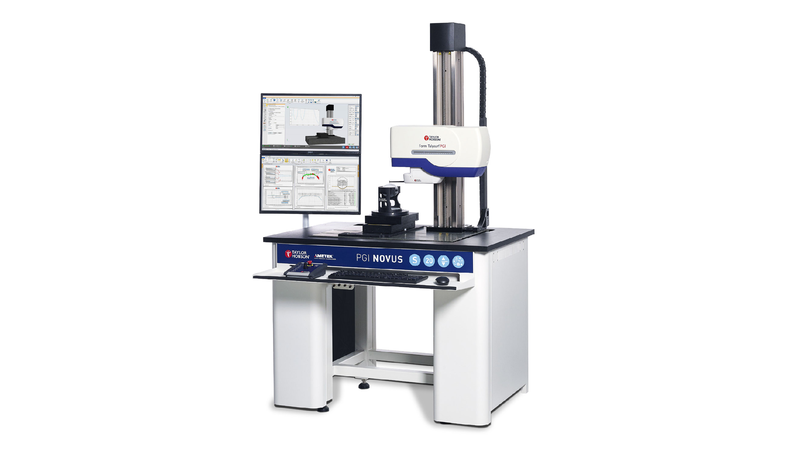 Taylor Hobson has launched its new Form Talysurf® PGI NOVUS, powered by Metrology 4.0 software claiming it’s the most-advanced system available for surface, contour, 3D and diameter measurement. Innovative technology is at the core of the new PGI NOVUS system. It has a brand new dual bias gauge, providing the system with the capability to measure diameter and angle and analyze surface finish in a normal and inverted direction with the same speed for optimal performance. PGI NOVUS is the most-accurate, stable and repeatable high-precision measurement system on the market. PGI NOVUS comes equipped with Metrology 4.0 software, a new software package that offers an intuitive interface with a virtual display and real-time control. It provides at-a-glance monitoring of the measurement process. Real-time simulation and true part coordinates enable monitoring and control to a level previously unprecedented in the industry. “The new software’s functionality ensures that real-time measurement can be tracked through an on-screen profile. A range of different modes is available offering basic elements such as recordable part programming, along with an advanced toolbox of programmable features including variables. That function allows one program to be created for a set of parts of differing sizes, minimizing the level of effort and training required for operators, while maintaining the highest measurement precision,” Greg explains.